The road market may be diverging into many sub-disciplines and styles of bikes. 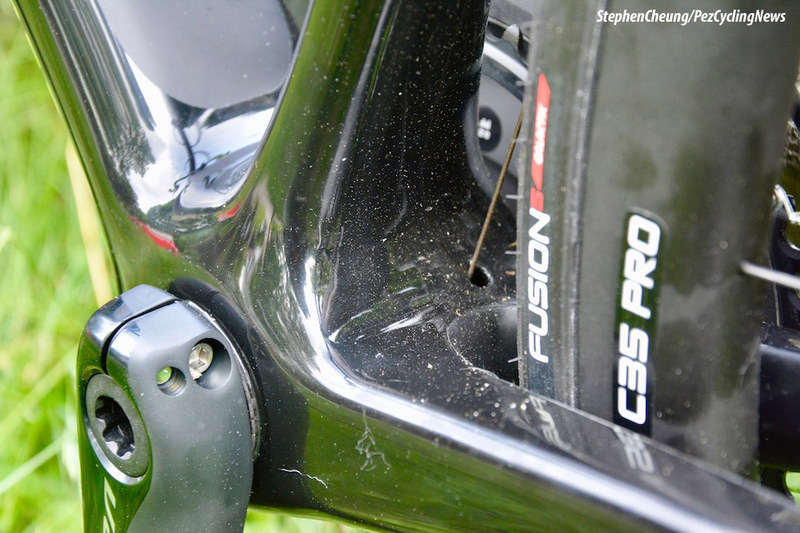 Does that mean that there’s no longer room for a do-it-all road bike, or that it becomes a mushy mound of compromise? After my summer of riding on Aquila Cycle’s brand new Neo, I’d vouch for its ability to deliver solid performance for almost anything you’re planning on tarmac. Following on the success of its Equipe-R top-end racing platform in 2015, Aquila has expanded its range of frame offerings. First came the Equipe-CX later in 2015, a bike that I loved to the point of using its geometry as the template for my current custom CX bike. Not my first rodeo with Aquila's Canadian design, having raced the Equipe-CX for two seasons. This year, Aquila has decided to tackle the larger road market with a bike that can handle the riding needs of the vast majority of road riders, incorporating all that they have learned from the Equipe series along with how most road riders actually ride. Does this sound like the much-maligned “Endurance” bike, stereotyped as sluggish, soft, non-responsive, and not really all that fun to ride? In the words of Aquila principal Frank Mizerski, the Neo is designed to appeal to all sectors of the road market. 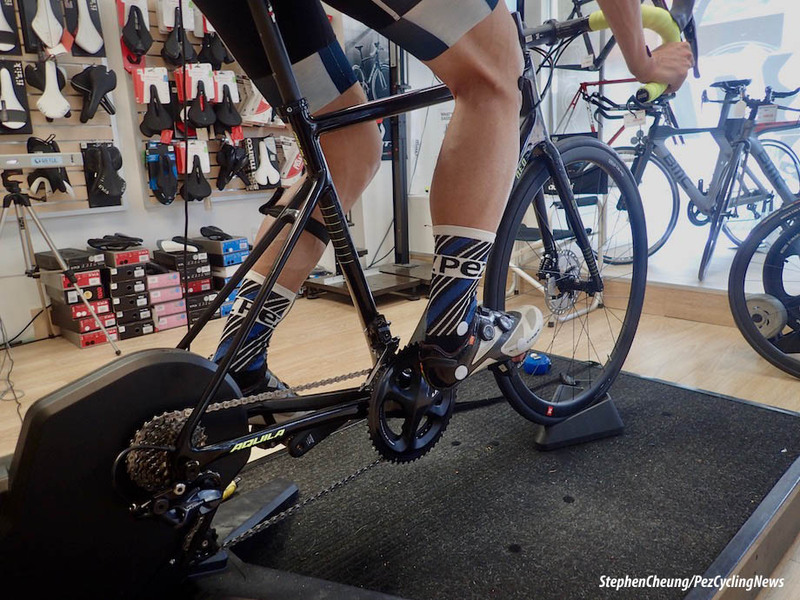 While being an “endurance” platform, the Neo is meant for riders that are looking for a balanced and confident ride without sacrificing performance. This can be a lofty target. How did it get on? The specs on the Neo are all current with modern trends. My tester came with Ultegra mechanical groupset with hydraulic brakes (R8020). 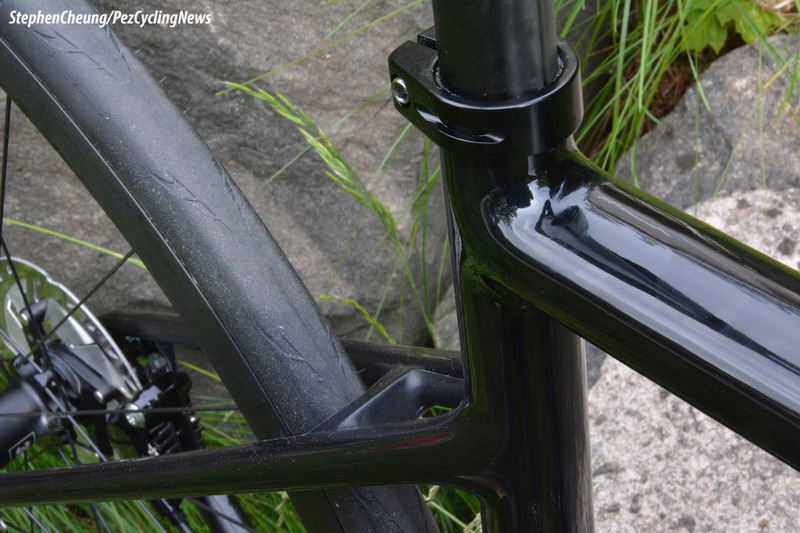 It’s an absolutely solid workhorse groupset that performed flawlessly. There’s really no better recommendation than that I never had to think about it or even tinker with it over my three months of testing. One note concerning the ergonomics/fit of the levers though. 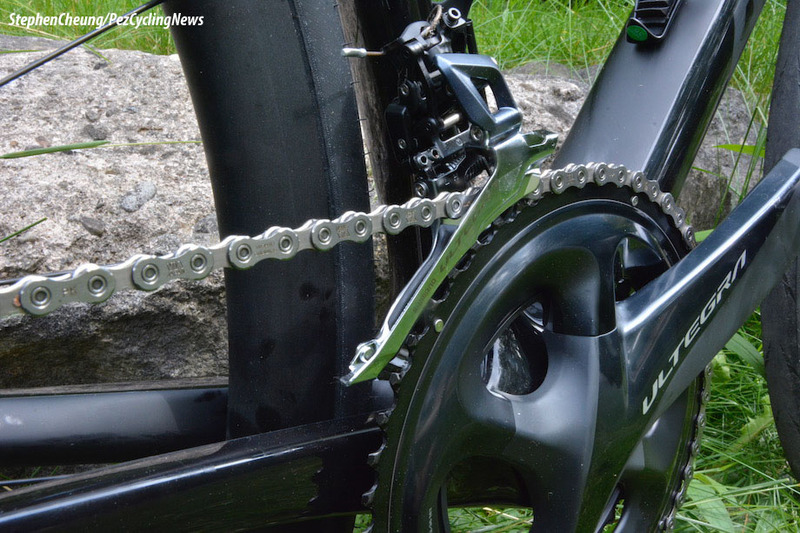 Unlike Sram, where the hydraulic brake pistons are oriented vertically on the lever, Shimano pistons are generally oriented horizontally. This has the effect of further extending forward reach when dialing in fit, and may pose a challenge for individuals with smaller hands. 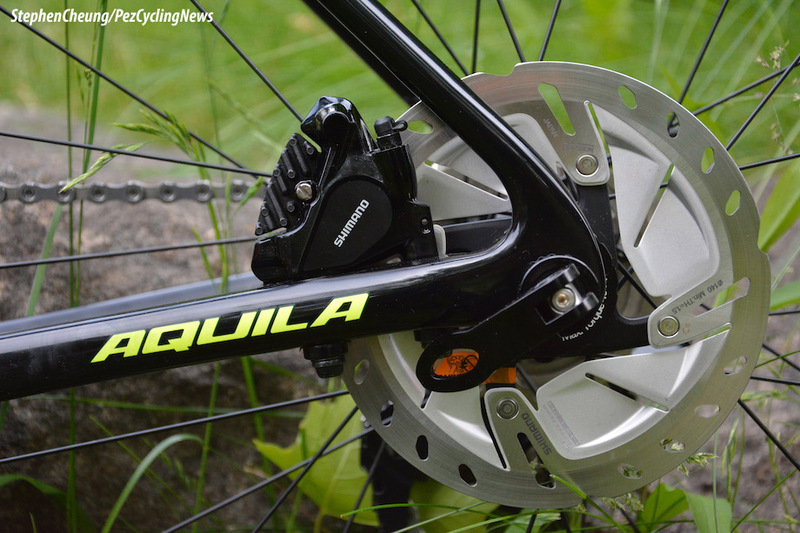 The Neo only comes in disc brake versions, which I fully agree with. Rim brakes may still save a few grams, but the confidence in braking is such a huge upside that I can’t foresee ever buying a new bike with rim brakes again. The thru-axle front and back also aids in the stiffness and sureness under hard braking. The Neo, while not designed as an aero bike outright, still looked and felt fast. Internal cable routing for the shifting and brakes kept the frame and fork aesthetics nice and tidy. I did not directly test the aerodynamics of the Neo compared to my own bikes. However, I did have the somewhat unusual experience, given my relatively light weight, of catching and passing riding partners on descents despite avoiding deliberately drafting them. The Neo also comes standard with 3T Discus II 35 mm depth alloy wheels, along with 28 mm Hutchinson Fusion 5 tires. This also fits with the continuing trend towards wider rims and tires which I fully agree with. On my CX/gravel bike, I have one wheelset with 28 mm tubeless slicks that I can hit tarmac or dirt farm roads with equal aplomb. I did the same several times with the Neo, and this really opens up the opportunities for riding options. The entire package above is stock, and is a massive deal at $3,700 CAN. One thing that Frank and I did with the Neo was run through a full Retül fit on it. I told Frank that I had no preconceptions or targets with the fit, and to perform the fit as he foresaw how I would ride with the Neo. The end result was that, compared to my fit on the Equipe-R and what I’ve set up my two current road bikes with, the Neo fit had my saddle slightly higher (7 mm) and farther back (12 mm) behind the saddle. As a consequence of the Neo having a shorter top tube and taller head tube, we were also a bit shorter in reach (52.6 cm compared to 53.5 cm) and also less saddle to bar drop (50 mm compared to 80 mm even with the stem slammed to the head tube). 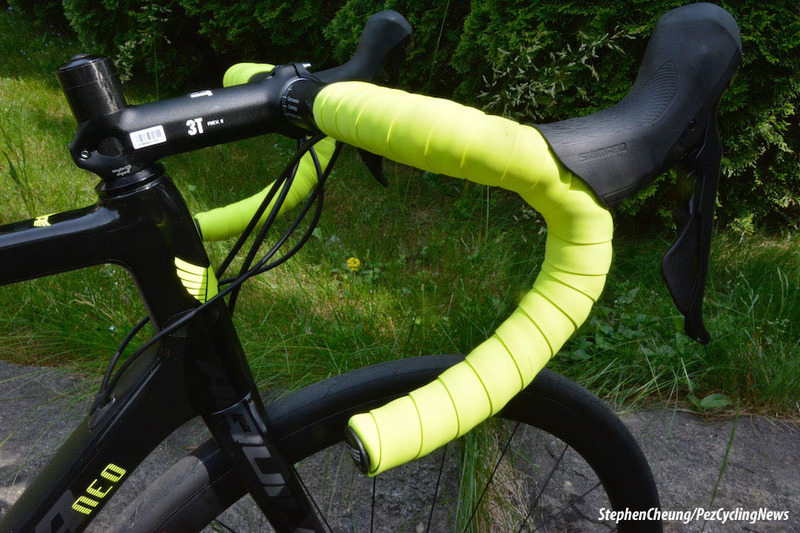 The longer forward reach on the 3T Ergonova bars, along with the longer Shimano brake levers, had the net effect that my hands were higher and further forward than typical on my bikes when on the hoods or drops. With the Neo set up, I hit the road for the summer. When preparing bike reviews, I’m a big believer in outlining the type of rider that I am, as it provides proper context for how I’ve used the bike. With that in mind, I fit squarely into the Neo’s target market, in that I do a little bit of everything on the road. 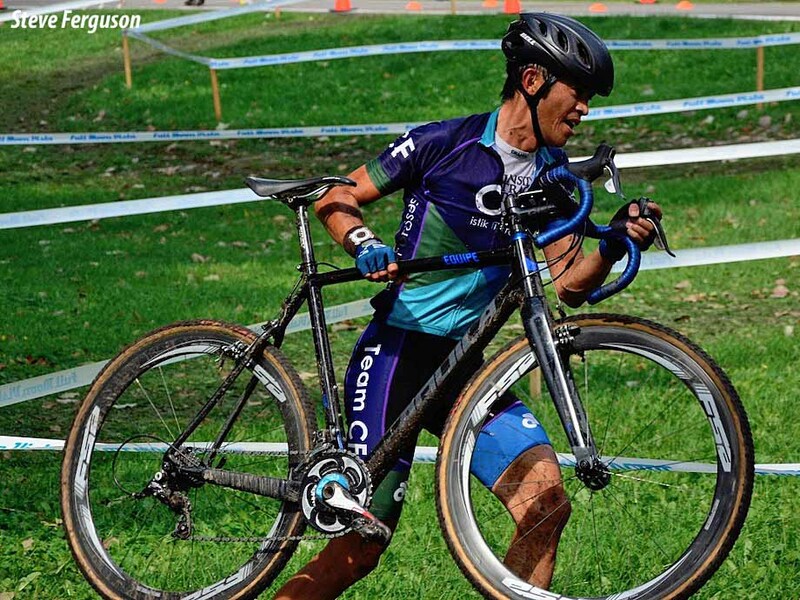 I have largely stopped competitive road racing in favour of CX and gravel, but I still love to mix it up on our club’s training races and hammer rides on the weekends. I do a lot of solo rides too, ranging from 3-4 h steady rides to intense interval workouts. Over the summer, I did a number of test efforts on the Neo. One was climbing our local 400 m long and 17% Saylor’s Hill both standing and seated. Another was my favourite on-bike strength workout of Stomps, involving seated starts from almost stationary and in the biggest gear, winding that gear up to about 80 rpm over 20 s.
A third favourite workout are repeated 30 s max / 15 s recovery efforts, involving standing sprints to start each effort. After a full set of 13 such efforts, I’m usually so ragged and fried that I can barely hang onto the bars, so I need a bike that is both responsive to accelerations yet not so twitchy that I steer myself into the ditch. In all the above situations, the frame felt stiff and unified, rather than disjointed between front and back. In keeping with what I feel to be a finely balanced bike, I pretty much never got distracted by the bike itself. It was just there and did what I wanted. 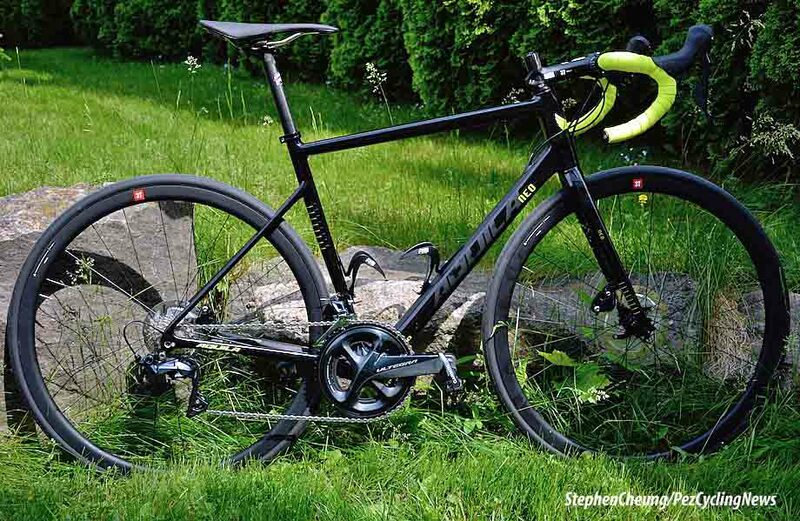 The combination of 28 mm tires and more upright geometry meant that the Neo was more than sufficiently comfortable to last me through long rides, on tarmac and even some dirt farm roads. Another thing that I did was take the Neo to our hyper-fast club races and weekend hammer rides. A bike simply handles differently at 40+ km/h and in tight quarters within a fast paceline than it does during an endurance ride at 30 km/h. I dove the Neo pretty hard into corners at speed and it handled well, and it was also plenty speedy winding it back up to speed after corners. Snagging front row call-up with Alex Stieda, first N. American male to don the Maillot Jaune in 1986. 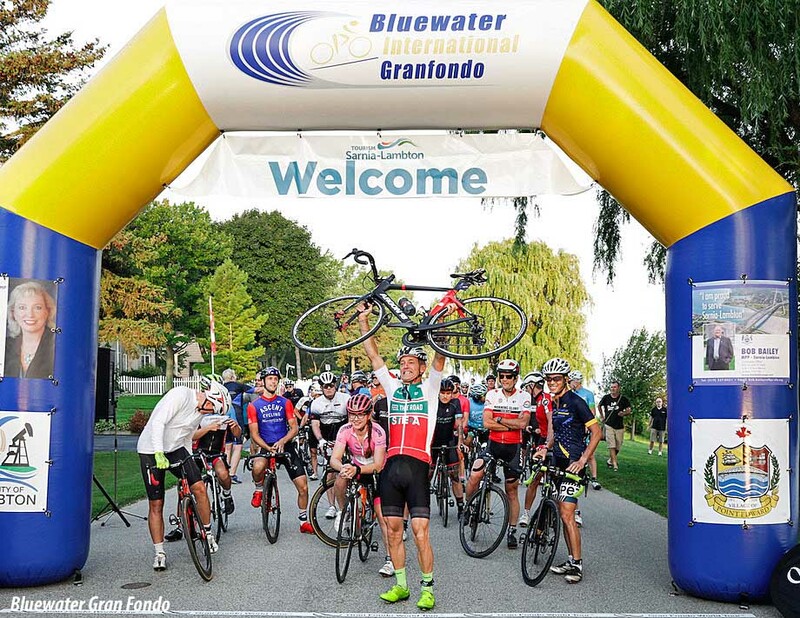 My summer of testing culminated with the Bluewater International Gran Fondo in Sarnia, Ontario. The lead group in our 150 km ride obviously mistook hot embrocation for chamois cream because, while we did stop at the aid stations, we hammered the entire ride. This involved about 40 of us averaging just under 50 km/h for a flat 10 km timed stretch. Then the rest of the ride included a series of small rollers. The Neo handled very well in tight quarters and while grovelling for wind shelter. It was also comfortable enough to get me through the ride tired but not sore. So what is the Neo? 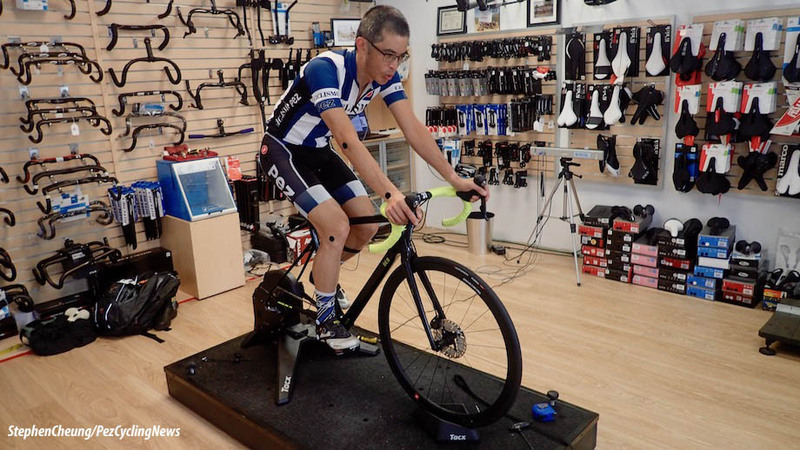 Will it be a great bike for any beginning rider looking to get a bike that can grow with them as they develop in the sport? Definitely. 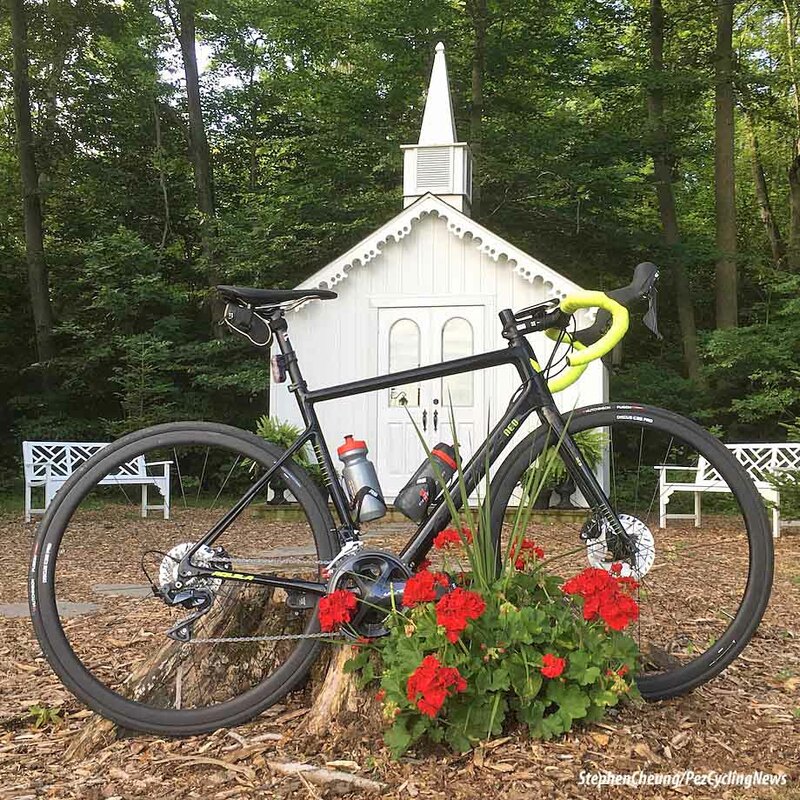 Is it a bike for the Gran Fondo rider, who may never race but want a bike that they can ride hard without beating them up? For sure. And is it a terrific value for a quality all-around bike with quality components and with minimal rough edges? Absolutely. 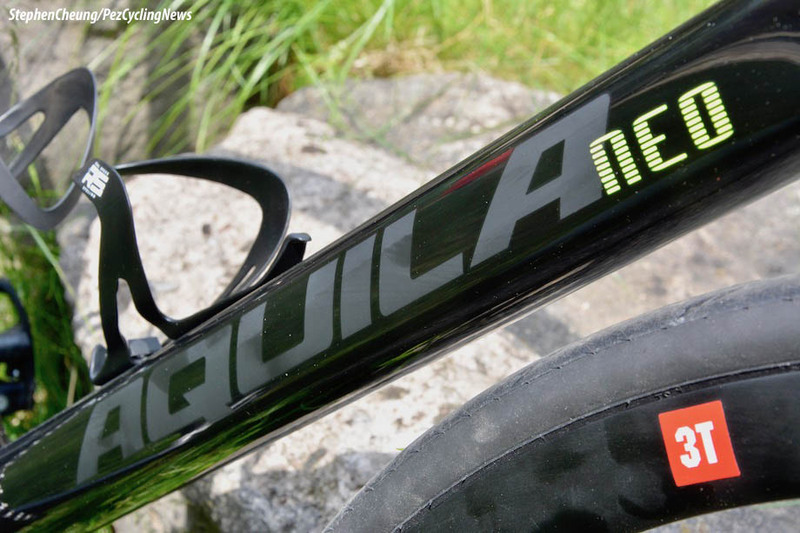 Check out the full Aquila Neo range, including a 105 and an Ultegra Di2 build.